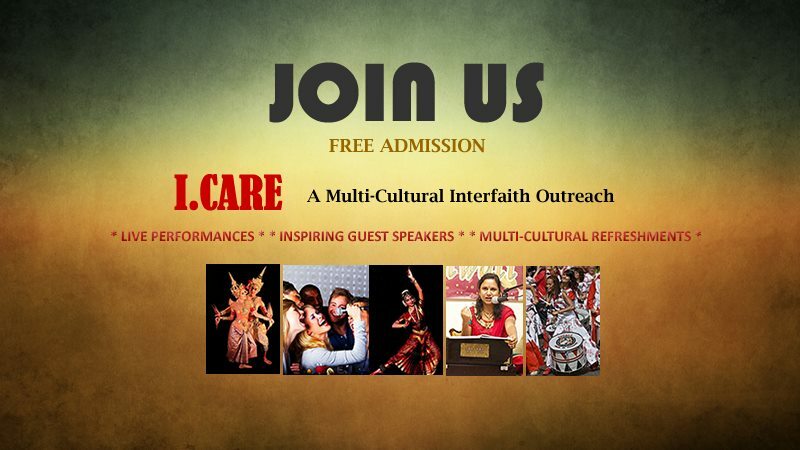 I.Care is a multi-cultural, interfaith initiative, that transcend the boundaries of usual religions and cultures. We work in partner with different faiths, communities and Non-Profit charity organizations, to produce memorable spiritual and cultural outreach. JOIN US on 25th June 2016! Kamini Music School students will be presenting an Indian Classical piece.